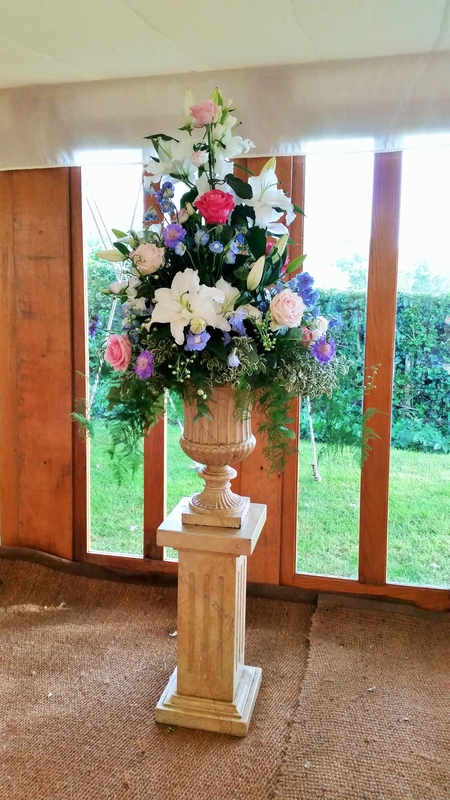 A beautiful summers day in July 2015 completes the perfect picture for Georgina and Robert's wedding day. 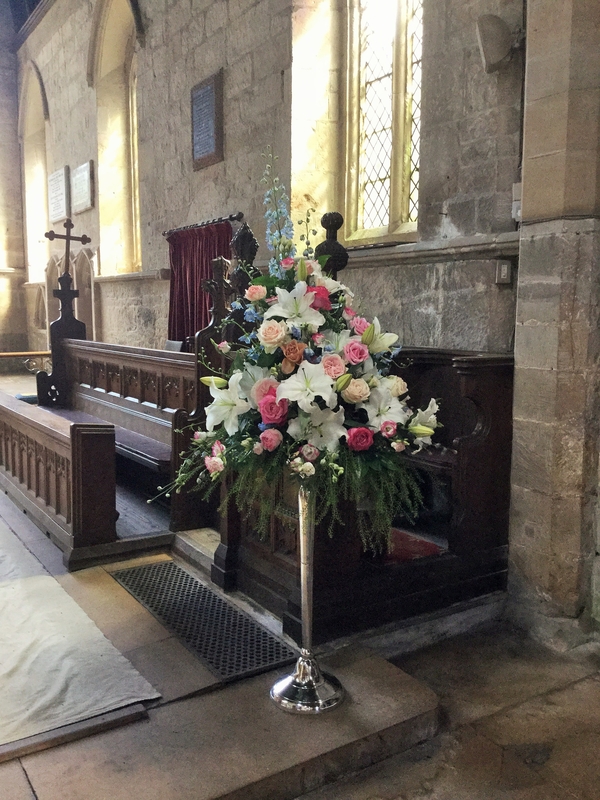 The ceremony took place at St Chad's, a beautiful village church set away from the village of Longford in parkland alongside Longford Hall. 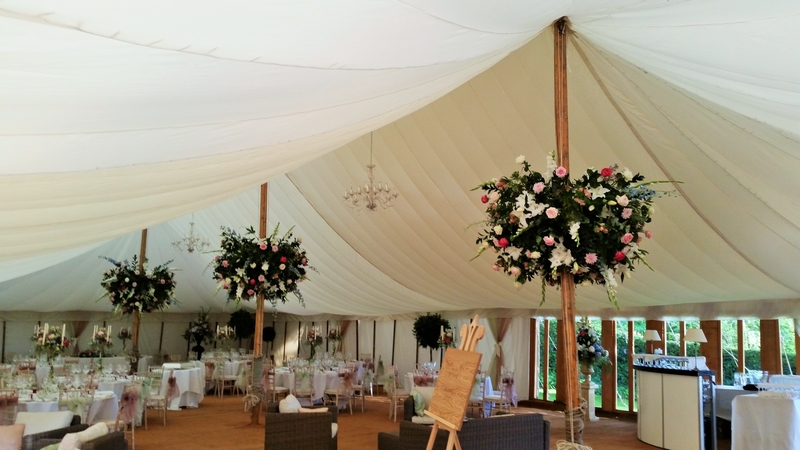 The reception followed in the grounds of the family in a superb marquee supplied by George Mudford & Sons Ltd. 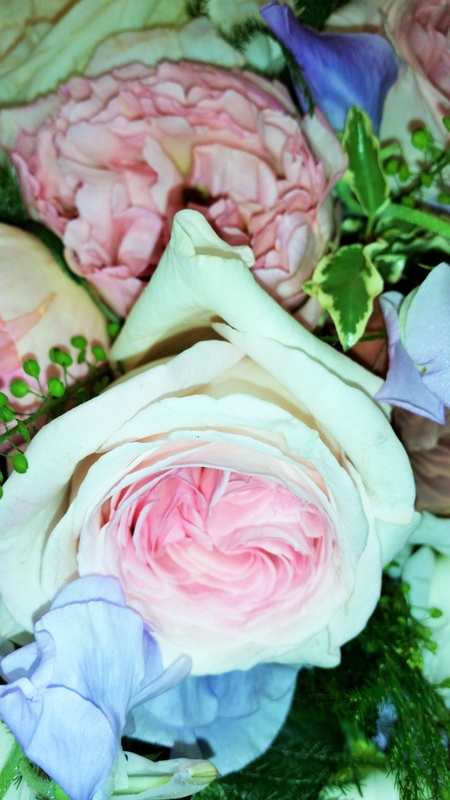 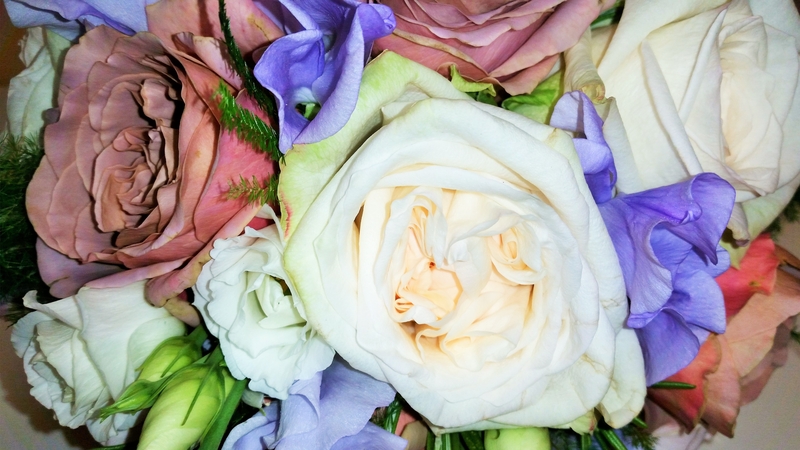 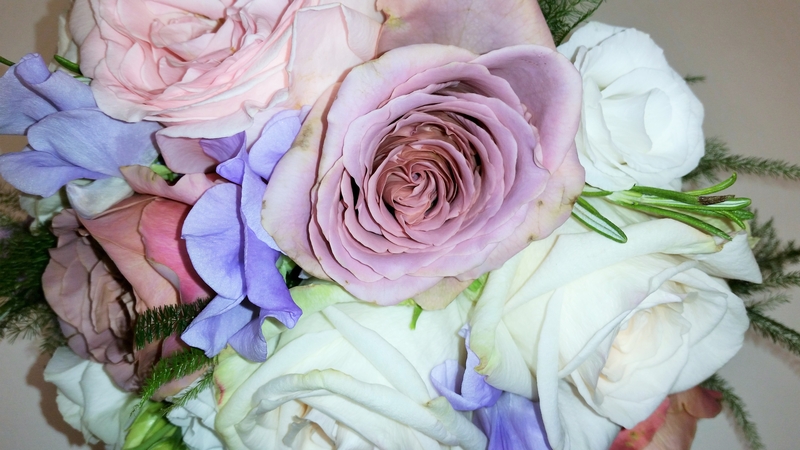 The bridal flowers comprised a palette of pinks and lilacs in various shades and hues which were reflected in the magnificent David Austin roses, enhanced with sweet peas and lisianthus. 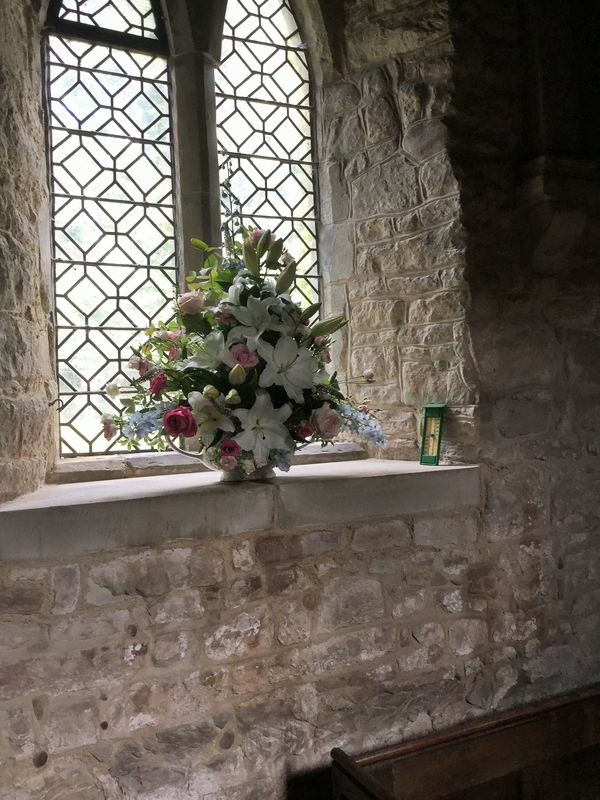 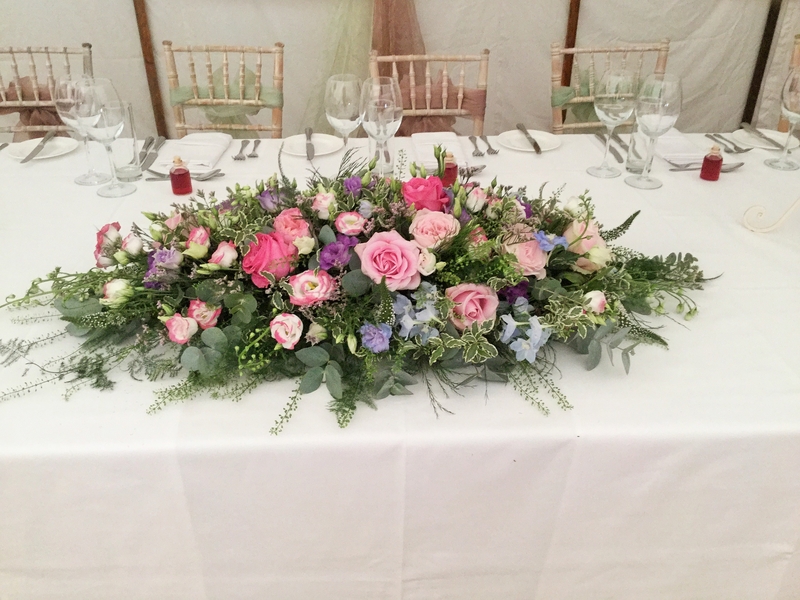 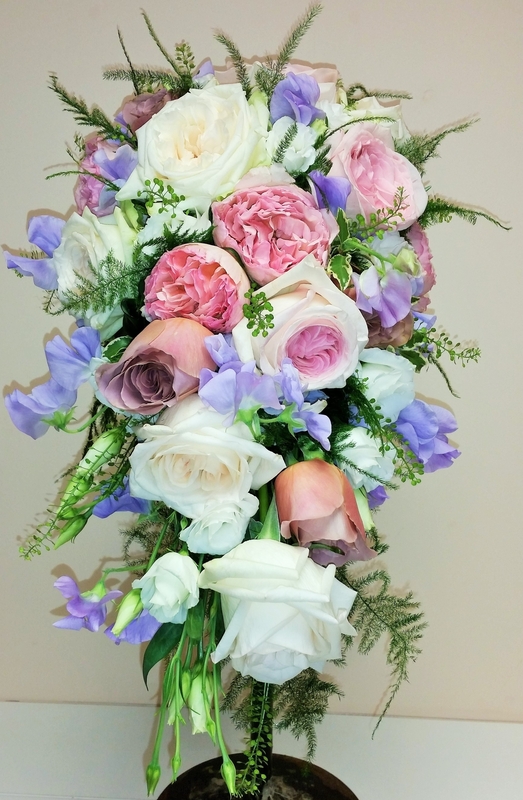 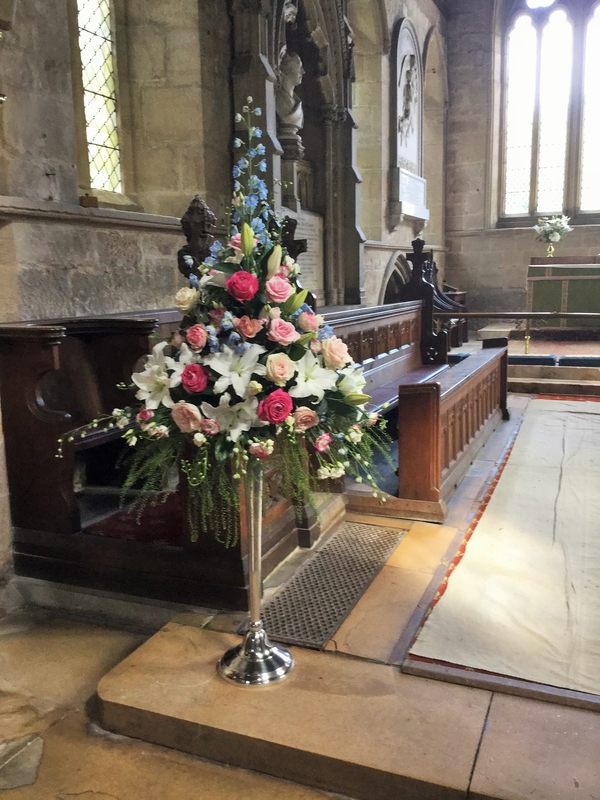 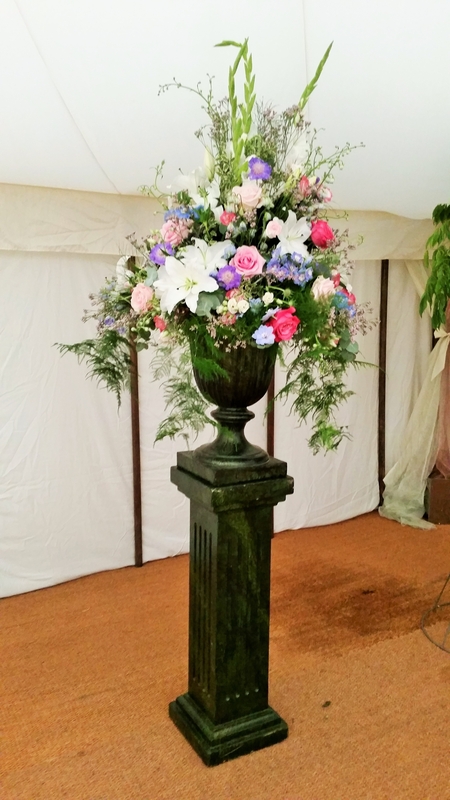 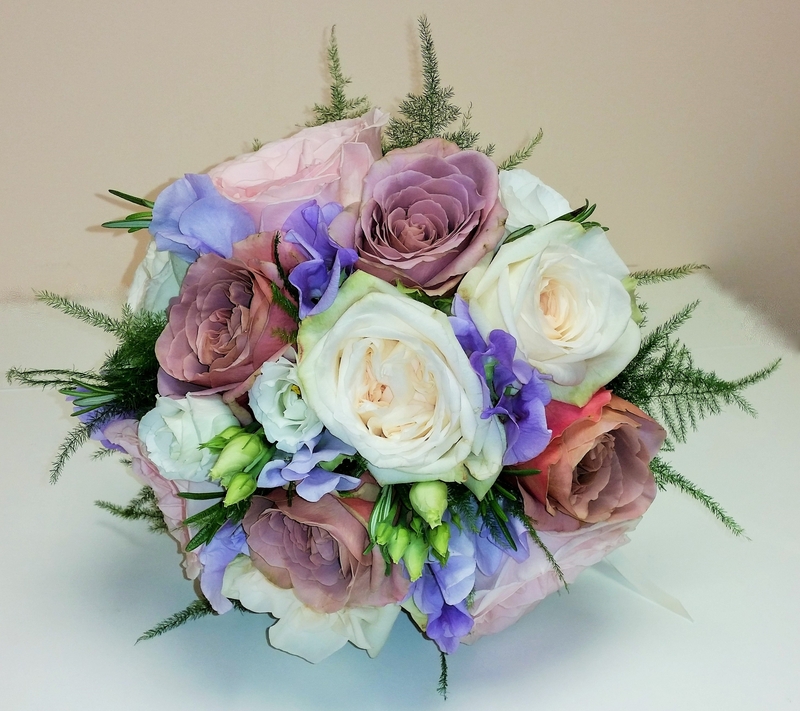 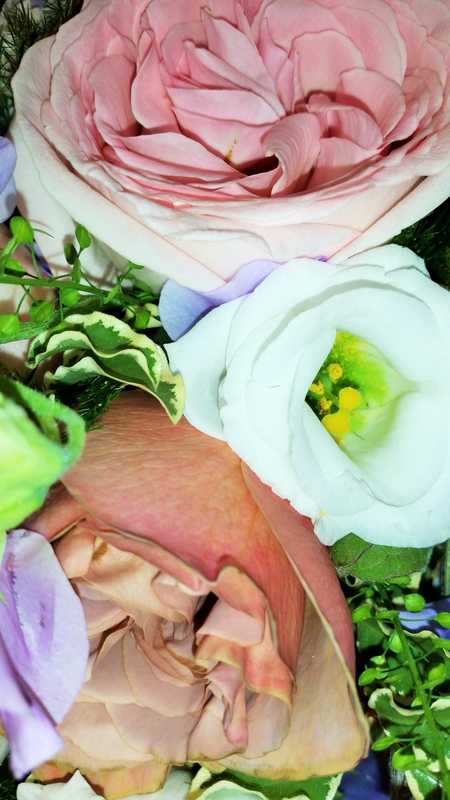 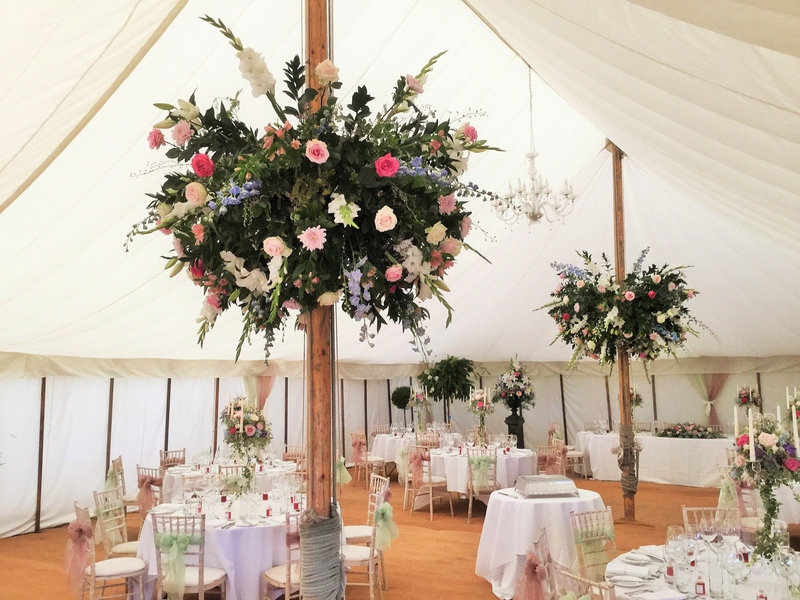 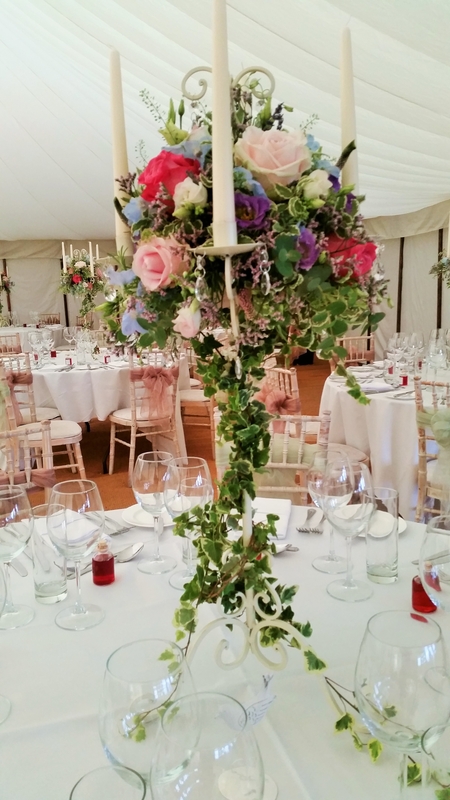 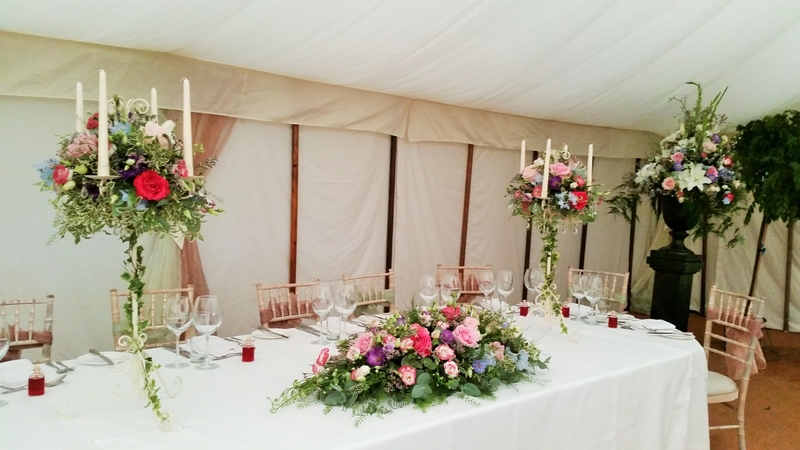 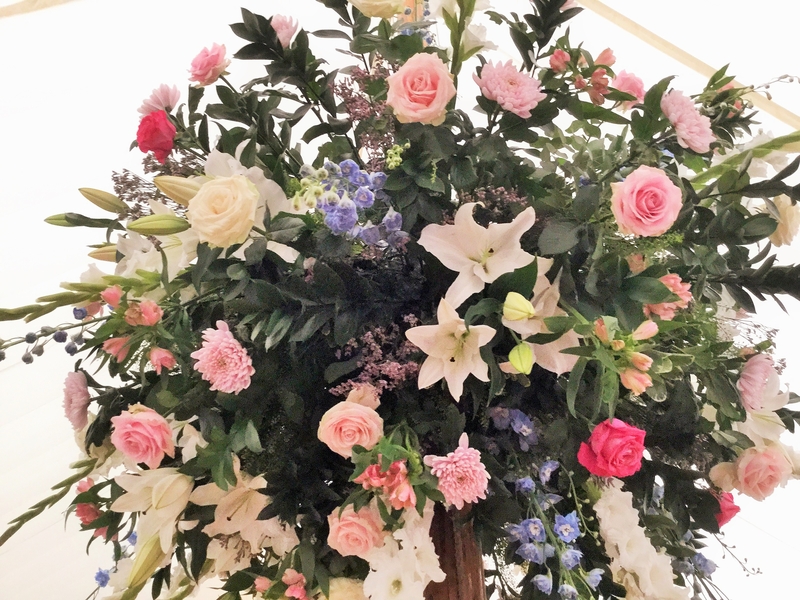 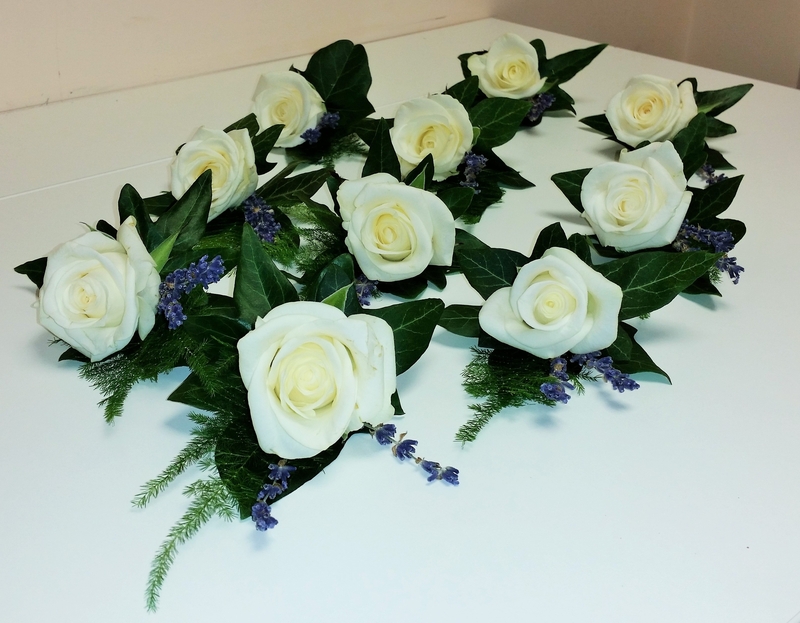 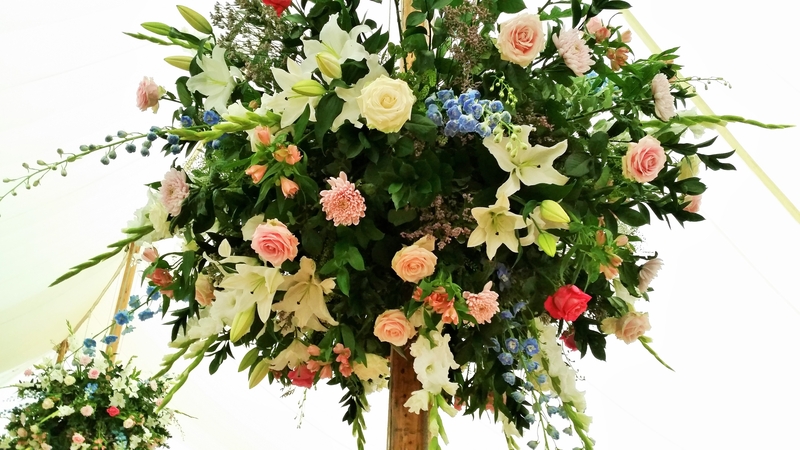 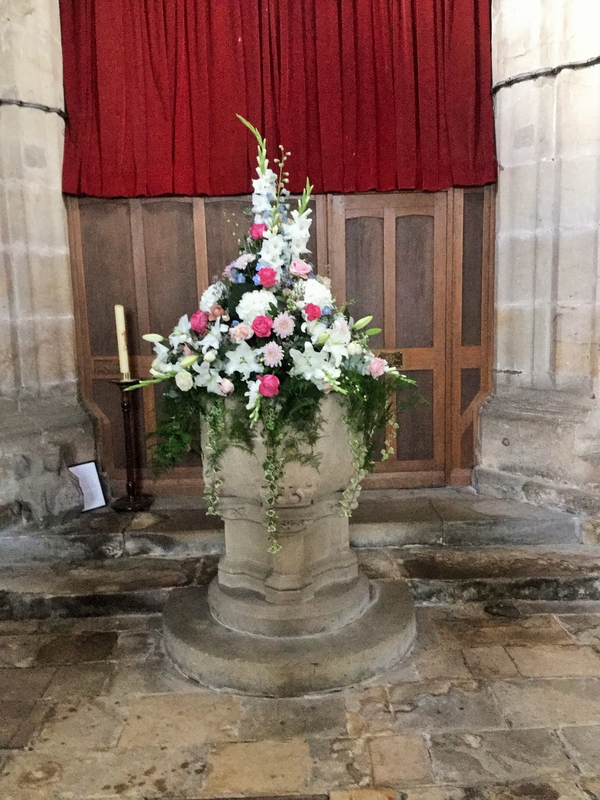 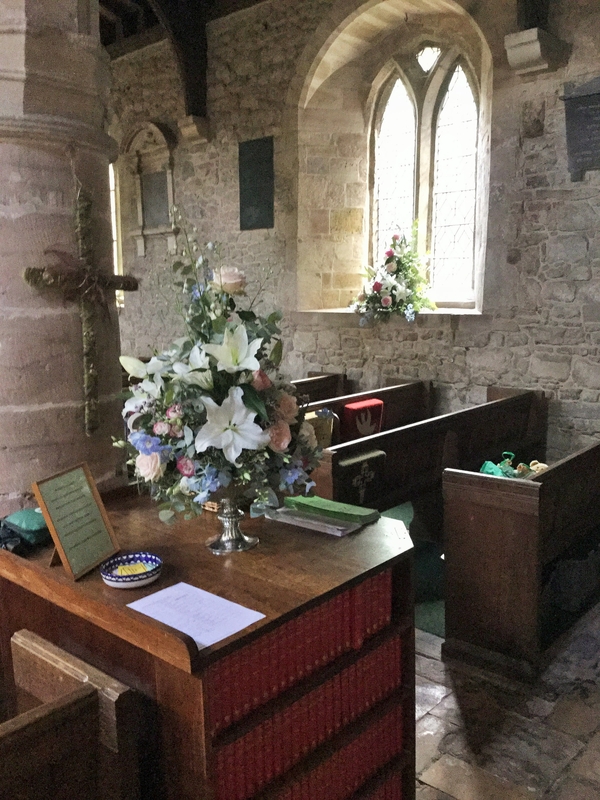 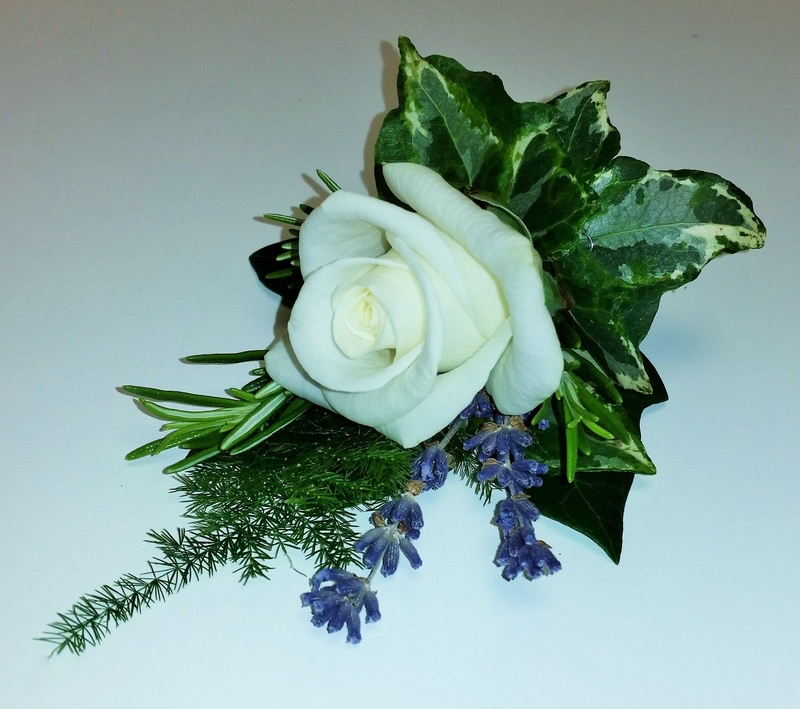 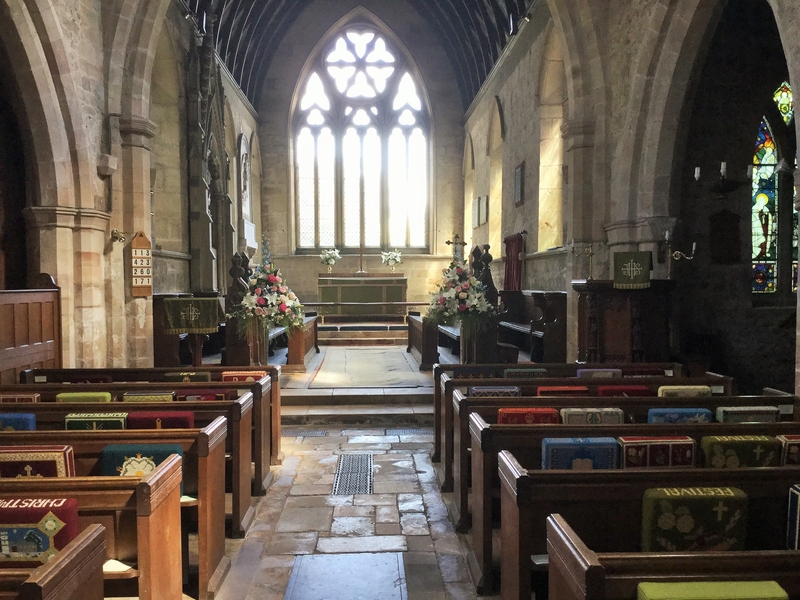 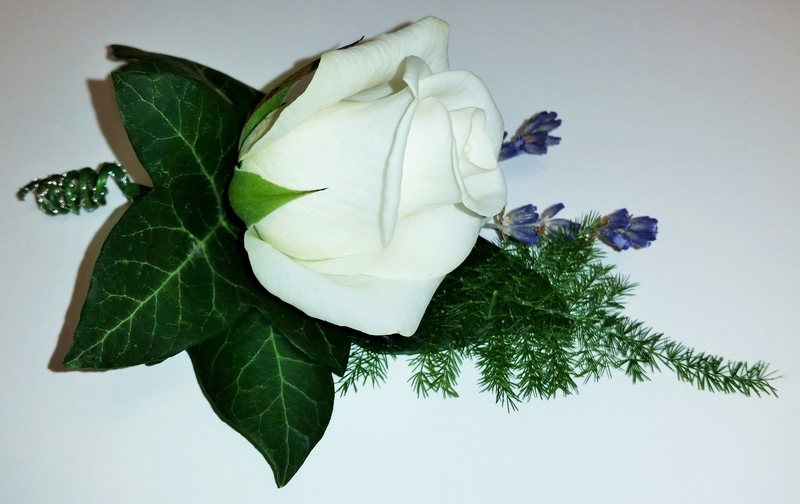 The church and marquee flowers were a mass of Sweet Avalanche, Avalanche Pink and All 4 Love roses, together with delphiniums, gladioli, hydrangea, dahlias, oriental lilies, chrysanthemum blooms, alstroemeria, scabious and lisianthus with coordinating foliage.